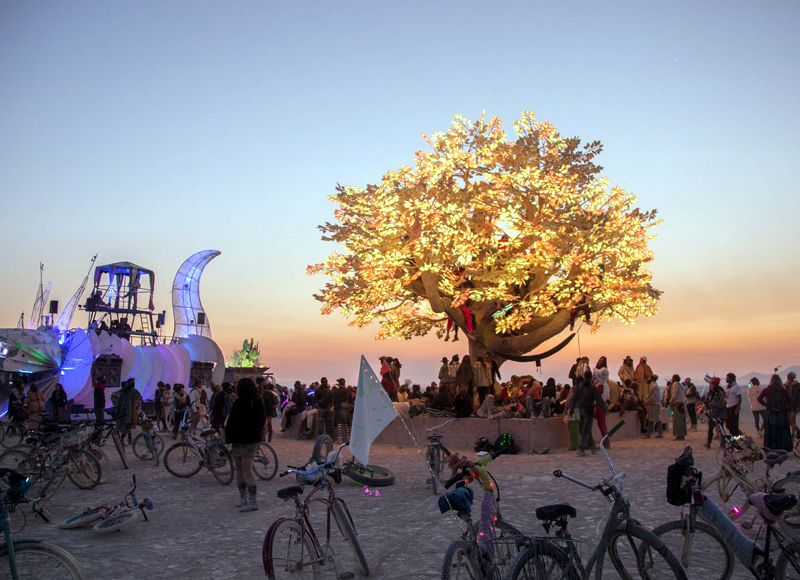 The legendary arts and communal-thinking fest returns to the Nevada desert later this month. Here is everything you need to know about Burning Man 2018. 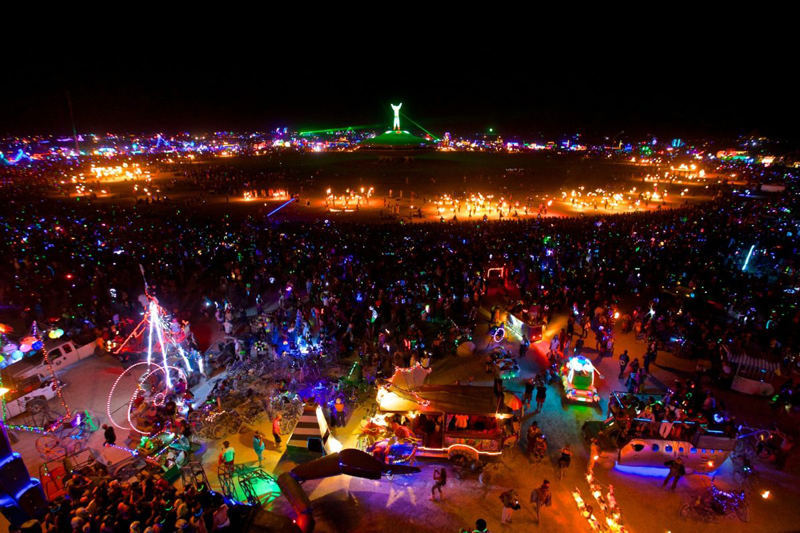 The legendary arts and communal-thinking fest returns to the Nevada desert later this month. First held 32 years ago in 1986 on Baker Beach in San Francisco as a small function organized by Larry Harvey and Jerry James who built the first "Man", it has since been held annually, spanning from the last Sunday in August to the first Monday in September (Labor Day). 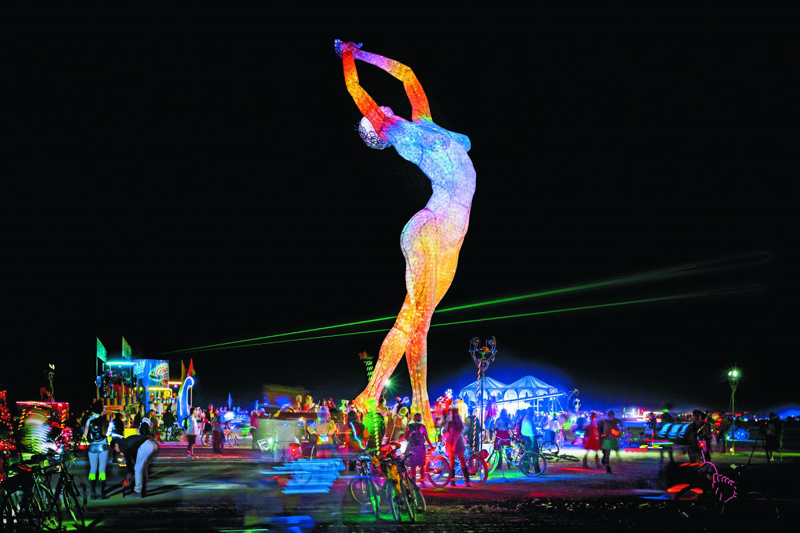 Burning Man 2017 was held from August 27 to September 4. 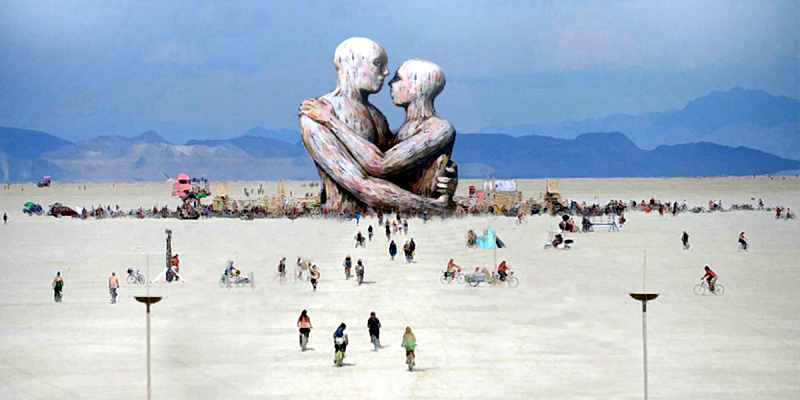 At Burning Man, the community explores various forms of artistic self-expression, which are created to be enjoyed by all participants. Participation is a key precept for the community – selfless giving of one's unique talents for the enjoyment of all is encouraged and actively reinforced. 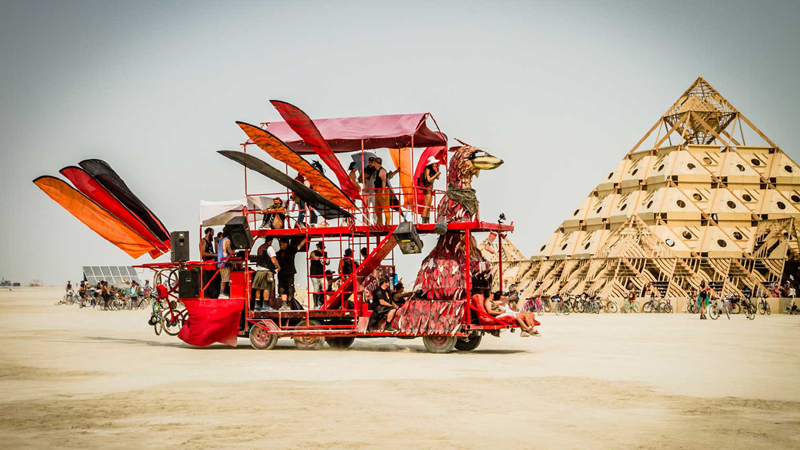 Some of these generous outpourings of creativity can include experimental and interactive sculpture, building, performance, and art cars, among other media. 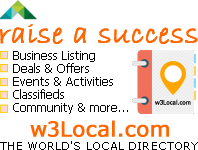 These contributions are inspired by the yearly theme, which is chosen by the organizers. [post_ads]Out in the Nevada desert, a small utopia has been created by people who wish the shed the social, cultural and financial constructs of our organized society. 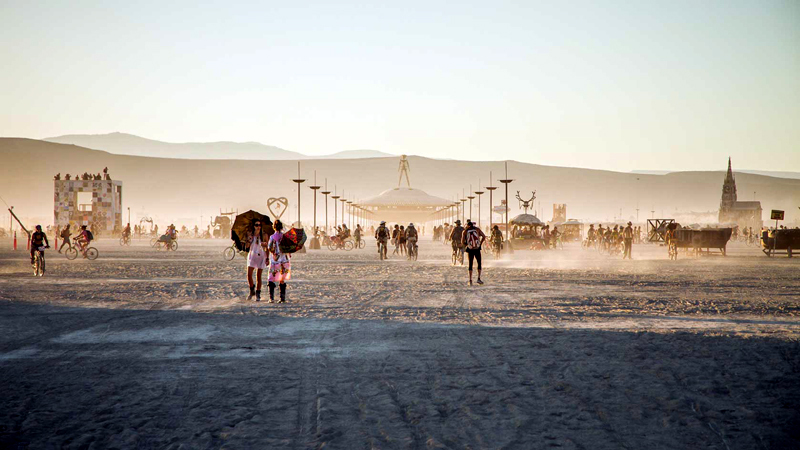 Oh yes, it's time for these people to make their pilgrimage to Black Rock City for Burning Man 2018, the long-running arts and communal-thinking festival. 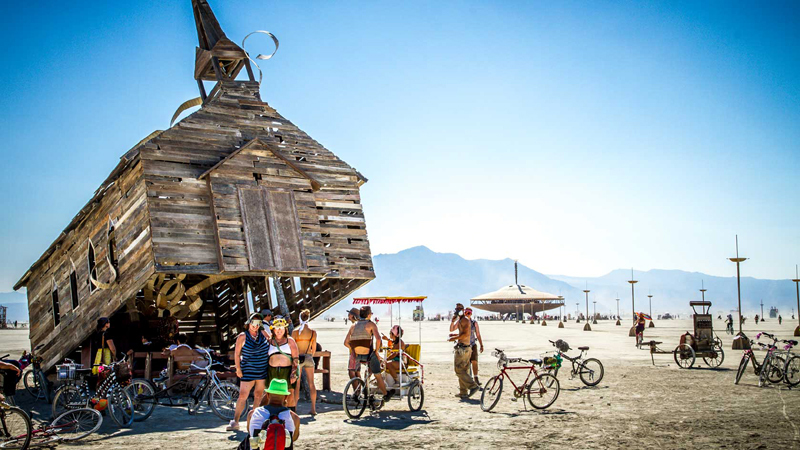 Located 100 miles outside of Reno, Burning Man started in 1986 as a way for people to explore artistic expression and radical self-reliance. 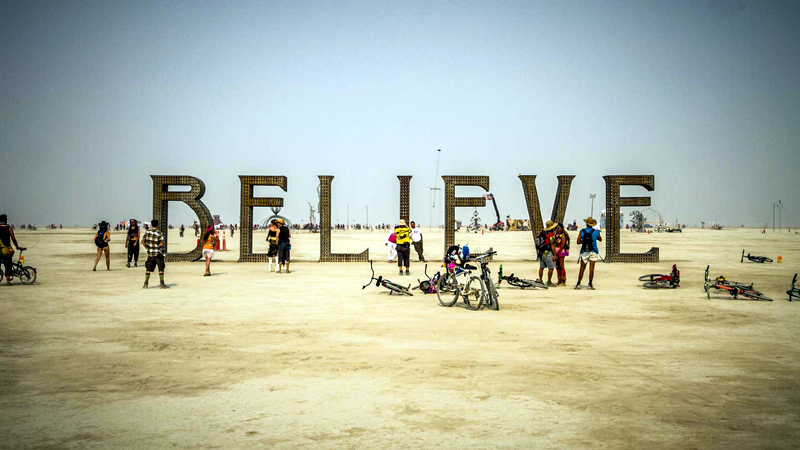 It has become most famous for the way the "community" operates during the week-long event, as people who choose to camp on the grounds will live by a bartering and gifting system for food and goods throughout the festival relying on the generosity of your fellow festival goer. 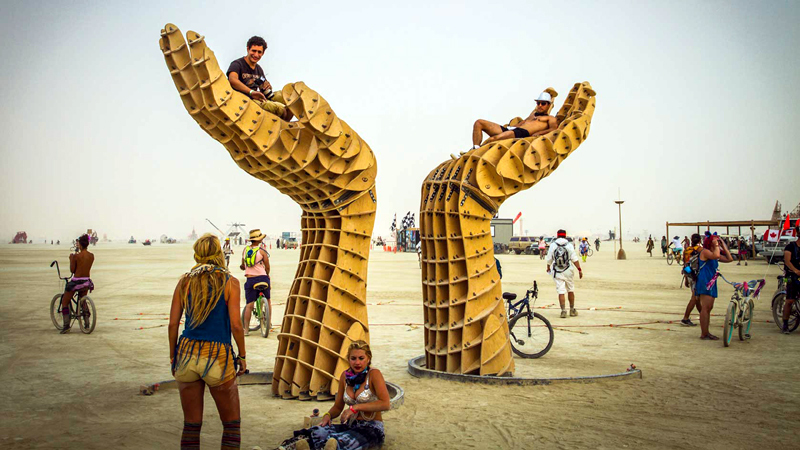 When is Burning Man 2018? 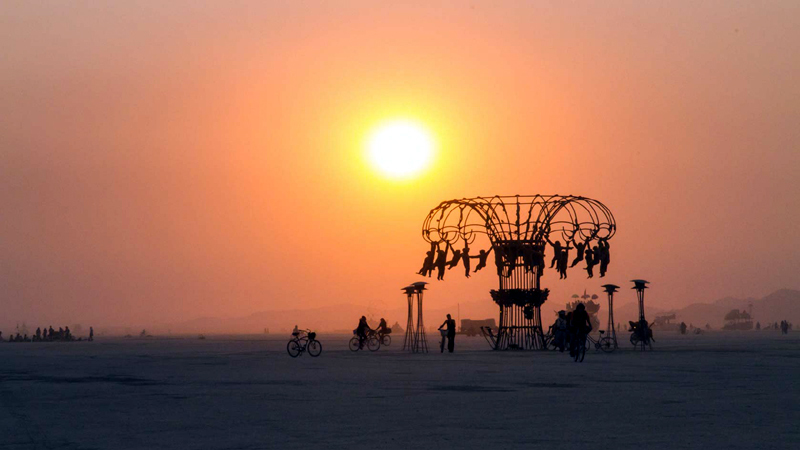 Burning Man 2018 will start on August 26 and run until September 3. 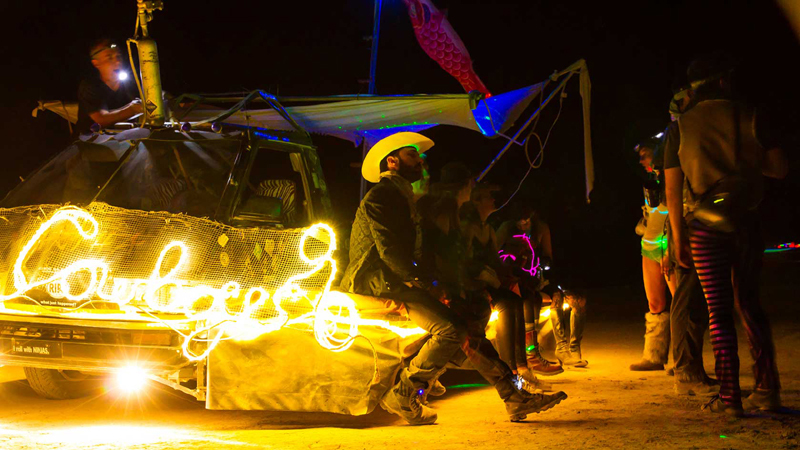 How do you get to Burning Man 2018? 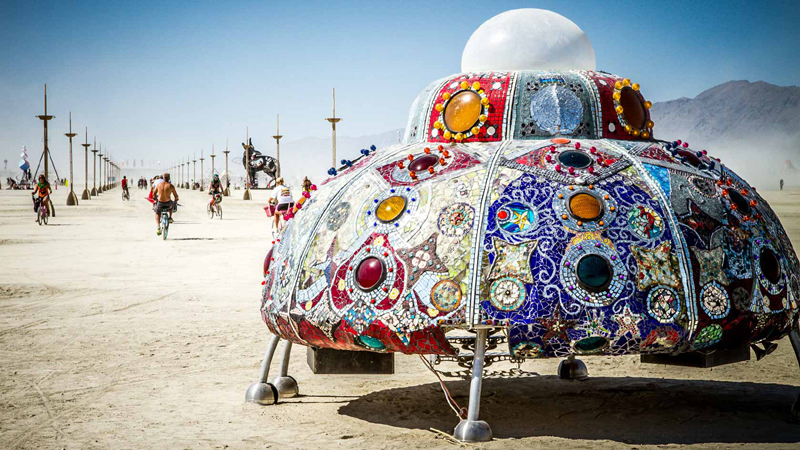 Since Black Rock City is a temporarily erected destination solely used for the event, finding it's exact location can be a little tricky for some festival goers. 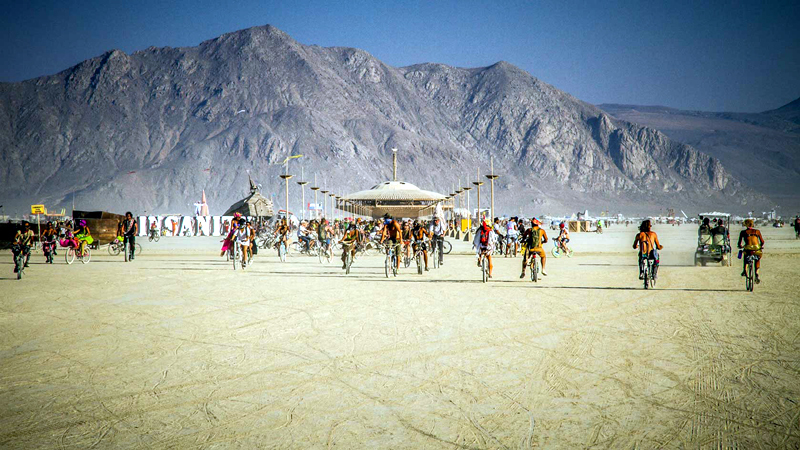 The exact GPS coordinates for Burning Man 2018 in Black Rock City are 40°45’13.83″N, 119°16’37.20″W. But for those who don't read maps as well as others, what are the brass tacks for traveling to this festival? [post_ads]A common way for many who are traveling in for the event is to fly into Reno, Nevada and drive in. To do this you can take From Reno, Nevada, take Hwy I-80 east 28 miles. Take the Wadsworth / Pyramid Lake Exit #43. You can get gas here. Then, go north one mile to Wadsworth and turn left, staying on Hwy 447. It’s 78 miles to Gerlach, and then 8 miles north on State Route 34 to BRC. The other option is taking Hwy I-80 east 4 miles. Take Pyramid Way Exit #18 to Hwy 445. Turn left and travel north 31 miles. At Pyramid Lake, turn right on Hwy 446 and go east 12 miles to Nixon. You can get gas here. Turn left on Hwy 447, traveling north. 54 miles to Gerlach, and then 8 miles north on State Route 34 to BRC. Just be warned, that Hwy 447 is a two-lane rural highway and the festival expects over 60,000 Burners each year driving in and out of the festival. It might be in your best interest to get there early to beat the traffic! 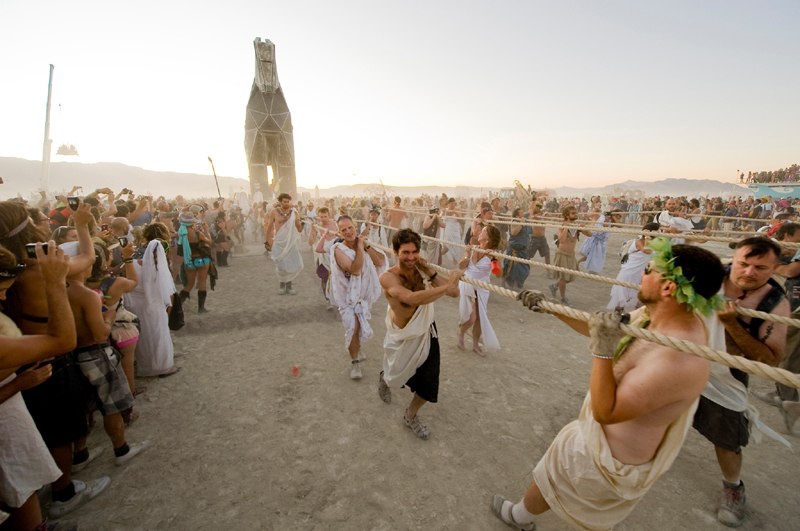 How do you prepare for Burning Man 2018? 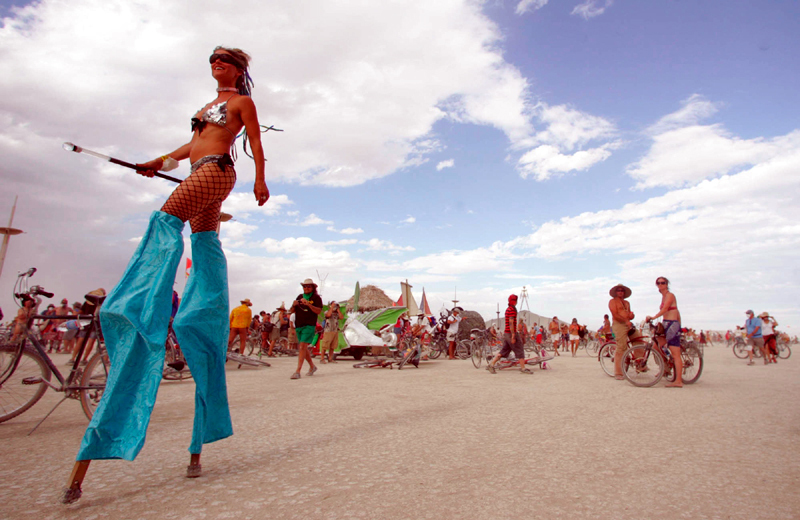 The key to surviving such a radical event like Burning Man is to really understand what comforts you will be giving up during your time at the festival. By realizing that things like a warm shower, a comfortable bathroom, a quick and easy meal, or just a supermarket that you can pop into when your everyday essentials have been drained will no longer be there, the better off you will be. Make peace with packing minimally and relying on others to help you get through your trip. 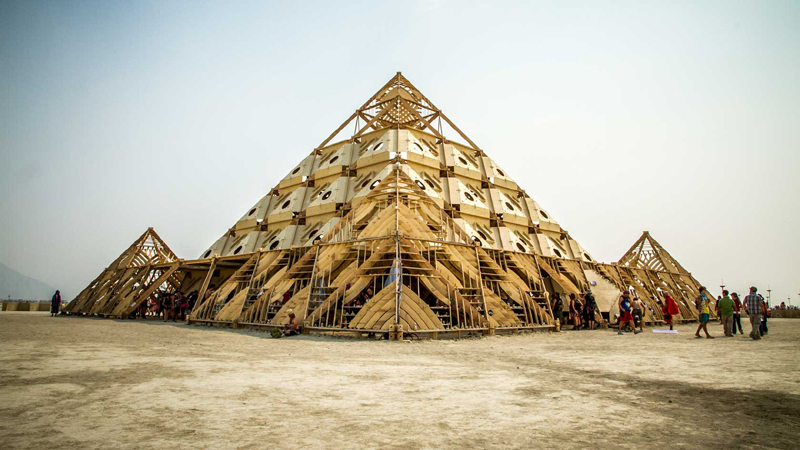 Burning Man has also set up year-round events called "local burns" in different parts of the world to get you in the mindset of the festival. 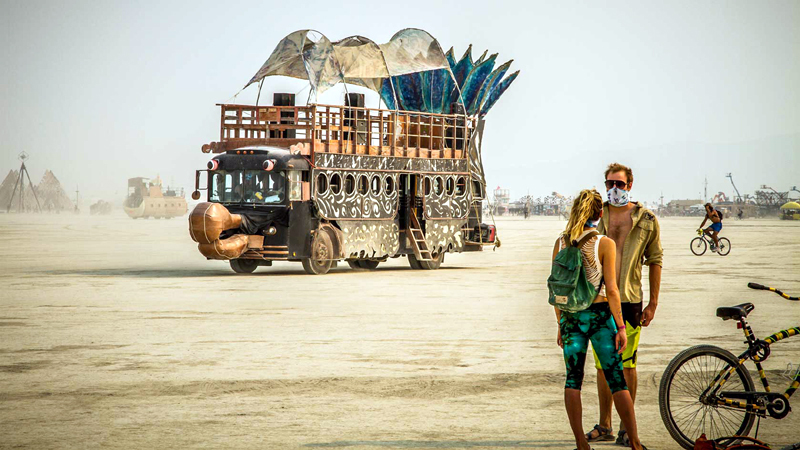 How much are tickets to Burning Man 2018? 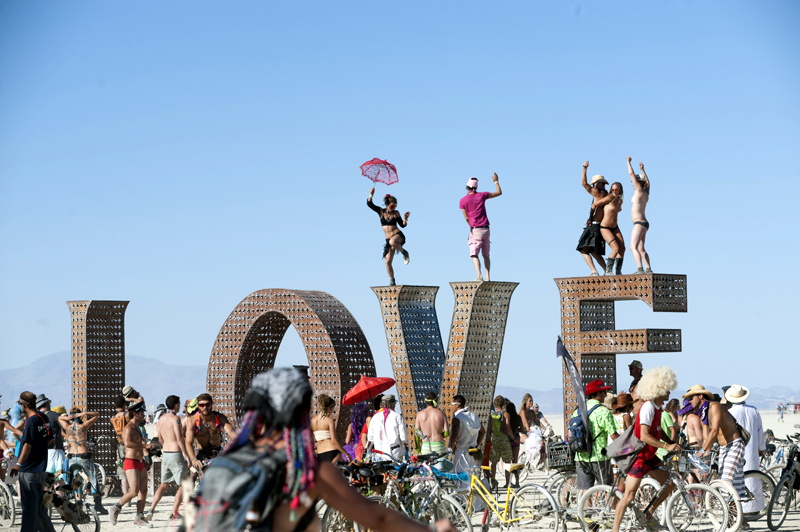 While the ticket registration has officially closed for Burning Man 2018, there are other ways you can find tickets to this festival online through StubHub. Just be warned, they might cost you a pretty penny.